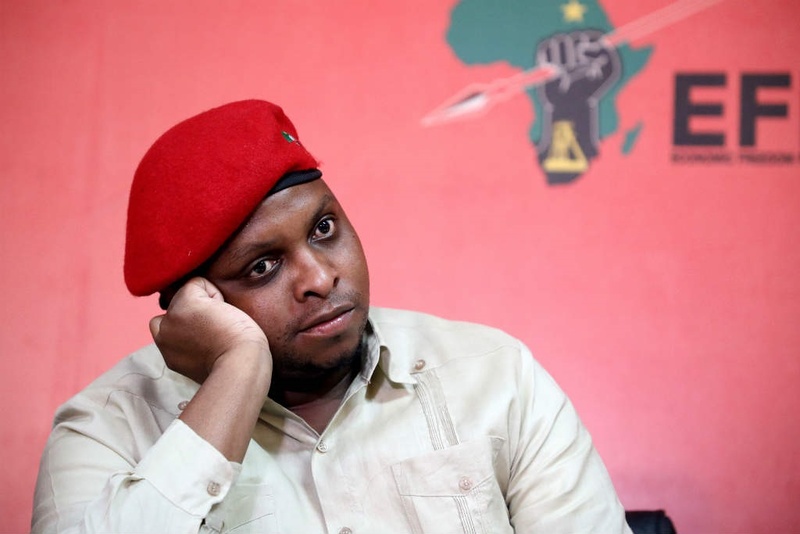 More than a year after Economic Freedom Fighters (EFF) deputy president and chief whip Floyd Shivambu attacked Netwerk24 photographer Adrian de Kock, Parliament's ethics sub-committee has cancelled a meeting scheduled for Thursday to consider the matter, citing uncertainty about reaching a quorum. Chairperson of the Joint Committee on Ethics and Members' Interests, Omie Singh, on Wednesday said in a statement that the committee had obtained legal advice that a sub-committee "must also have a certain number of Members to reach a quorum". "Due to the fact that Parliament has risen and that Members of Parliament (MPs) are busy with constituency and elections work, the committee was uncertain if it will get the required number of MPs that are required to reach this quorum to come to Parliament to consider the matter," reads the statement. News24 previously reported that Shivambu was in March of 2018 filmed with his hand around the throat of De Kock. De Kock said he had gone over to Shivambu to get a comment about the disciplinary hearing of then-Cape Town Mayor Patricia de Lille, when he was attacked. The EFF deputy president went on to apologise for his attack, calling his behaviour "inappropriate". Shivambu, later that day, acknowledged that the "scuffle" had happened, but said it "was never an assault on the journalist or media freedom". "I regret the incident and believe it should have been handled differently. I take full responsibility and apologise for engaging in a scuffle with a person I discovered after the incident is a journalist," he said in a statement. "Whilst I was in a hurry to attend the committee meeting, I accept that my impatience with the gentleman was inappropriate." A written apology was also extended via a statement from the EFF. In November 2018, Shivambu and De Kock appeared before Parliament's ethics committee. This was after Parliament said it would investigate the incident because it was not in line with its commitment to press freedom and a media-friendly environment, as enshrined in the Constitution's Bill of Rights. That committee was, however, unable to progress any further, as a "crucial" witness was overseas. This most recent meeting of Parliament's ethics sub-committee was scheduled for Thursday, as the witness is now back in the country. "The Ethics Committee has, over the past term, highlighted challenges it has faced in dealing with matters before it. One such challenge has been the inability to be quorate at most of its meetings and the unavailability of witnesses to assist the committee to consider matters before it," reads the statement. It continues: "...the Joint Committee on Ethics and Members’ Interests will meet next week Wednesday to consider all cases that are still before it and to chart a way forward considering the limited time before the end of the 5th Parliament."